(Marlene Kuntz) Where Are You Now, My Son? 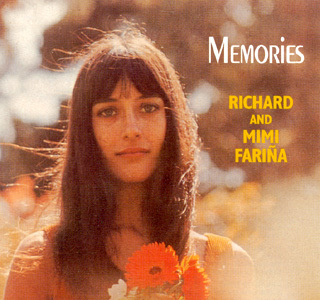 Nell’album “Memories” di Mimi e Richard Fariña pubblicato nel 1968, il primo dopo la prematura morte di quest’ultimo, avvenuta in un incidente motociclistico nel 1966. 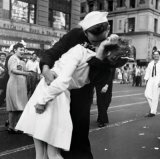 La canzone fu probabilmente scritta da un’amica delle sorelle Baez, Joan e Mimi, tal Kim Chappell, una free spirit, senza lavoro e senza casa, che le Baez avevano preso in carico. This song has a rather confusing provenance. David Hajdu reports that Richard wrote the poem and Joan and her friend Kim Chappell set it to music (see Positively 4th Street, pages 273 and 296). However, I believe that the lyrics were originally written by Kim Chappell and set to music by Joan Baez in 1964 or very early in 1965 (note that this would make it Joan's first writing credit). Kim Chappell was a close friend of Joan and not a musician at all. She is discussed in Joan's autobiography, And a Voice to Sing With (particularly the chapter titled, "Blue Jeans and Necklaces," see p. 74 ff). She is also mentioned intermittently in Joan's first autobiography, Daybreak, very briefly in Richard's essay, "Monterey Fair," and in several Janis Joplin biographies. To the best of my knowledge, this is Ms. Chappell's only writing credit. She was something of a free spirit; she didn't have a job and hadn't learned much responsibility when she met Joan. Joan let her live in her cabin in Carmel, California, bought her clothes and things, and generally supported her. In February of 1965, Joan signed over the royalties of "All the World Has Gone By" to Ms. Chappell, perhaps to provide her friend with some income. Note that the date of this transaction predates by a full year the collaboration of Joan and Richard on her rock album. During the recording of Joan's rock album in early 1966, Fariña must have revised the lyrics. A copyright filed November, 1968 (presumably by Mimi) credits Fariña with "new & rev. lyrics," and the credits on Memories finally appear as "Music by Joan Baez; Words by Richard Fariña and Kim Chappell."